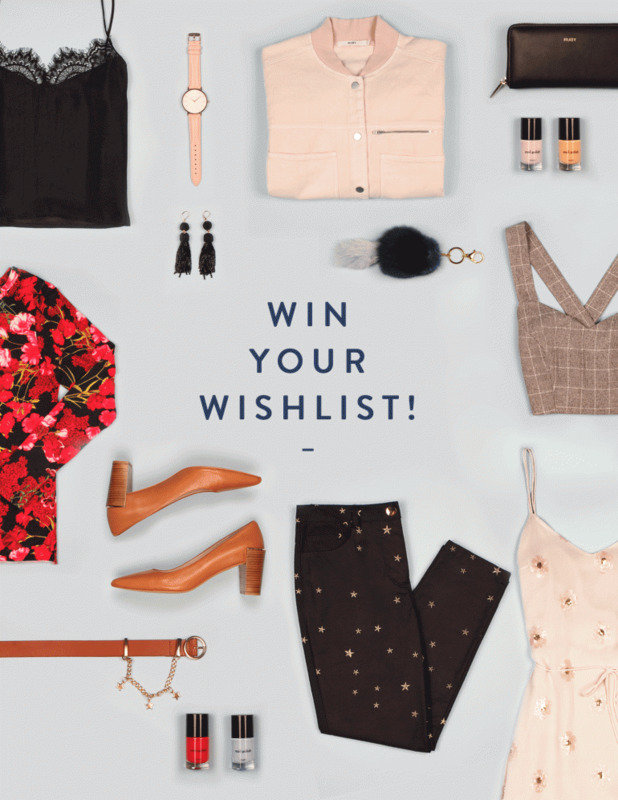 Create your wishlist online at rubynz.com and go into the draw to win your selected pieces, to the value of $1000. Keep track of all your favourite things by adding them to your Wishlist when you log in or create your own personal account online. Start creating your wishlist online now. Terms and conditions apply. Our Win Your Wish List competition closes at midnight Sunday 9th October 2016 NZT. The winner will then be chosen at random and will receive the contents of their Wish List up to the value of $1000 NZD. The winner will be announced on Wednesday 12th October. 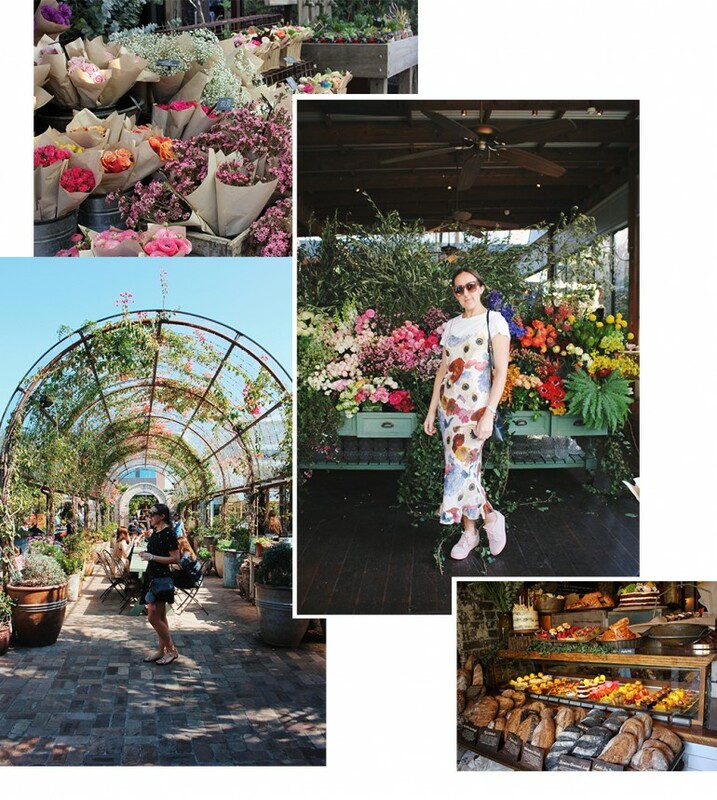 Last weekend, our RUBY designer Deanna was lucky enough to experience the best of Sydney in 72 hours. 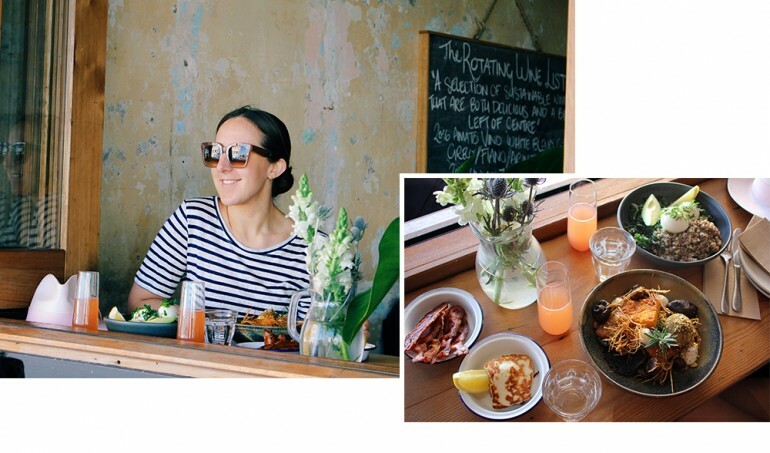 With a sister based in Sydney, Deanna was pretty apprehensive that she hadn’t already been introduced to all the best spots in Sydney. 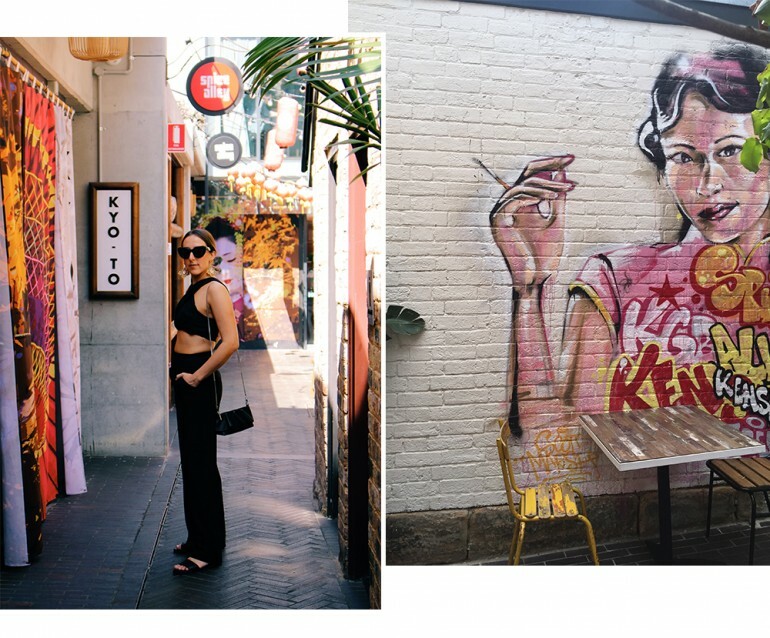 It wasn’t until she was introduced to the very cool, arty suburb ‘Chippendale’ and the brand new QT Bondi that she realised there was a whole lot more to this already top-notch city. 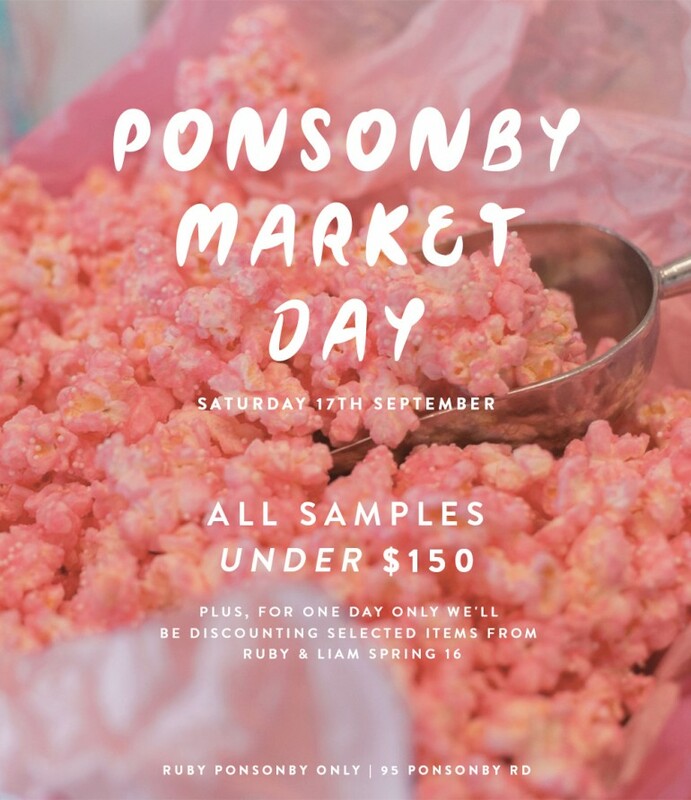 We have put together a RUBY guide of unmissable spots so that you can discover Sydney like a local…. From the second we walked into The Old Clare Hotel, we were instantly taken by its colonial warmth and charm. 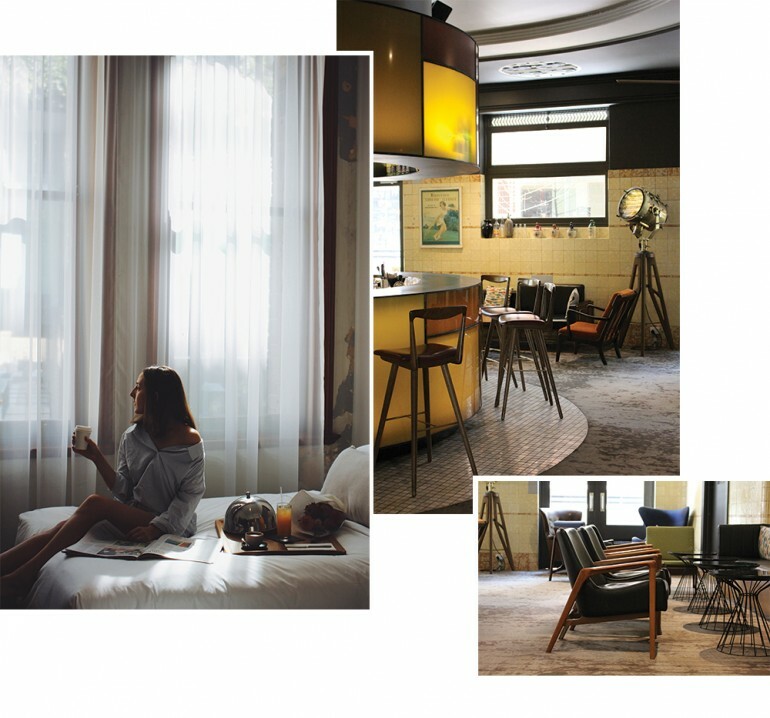 Set in an expanded 19th-century pub situated in Chippendale, one of Sydney’s most exciting and up-and-coming neighbourhoods, The Old Clare was the perfect spot to soak up the culture. The rooms are modern and functional and the high ceilings and natural light were a delight to wake up to. Diving into the heated rooftop pool delivered exactly what was needed after a busy day of galleries and dining. This refined boutique hotel is only a quick walk from Central Station and Darling Harbour. The latest addition to Bondi, the QT has made itself right at home with its quirky and colourful aesthetic. Upon entering you are greeted with 80’s beach culture, smiling faces and a seriously chilled out vibe. It’s spacious and sun-beaten rooms were a dream to walk into. Situated on the doorstep of North Bondi beach and surrounded by the coolest stores and amenities, it’s the perfect spot to check in to check out. 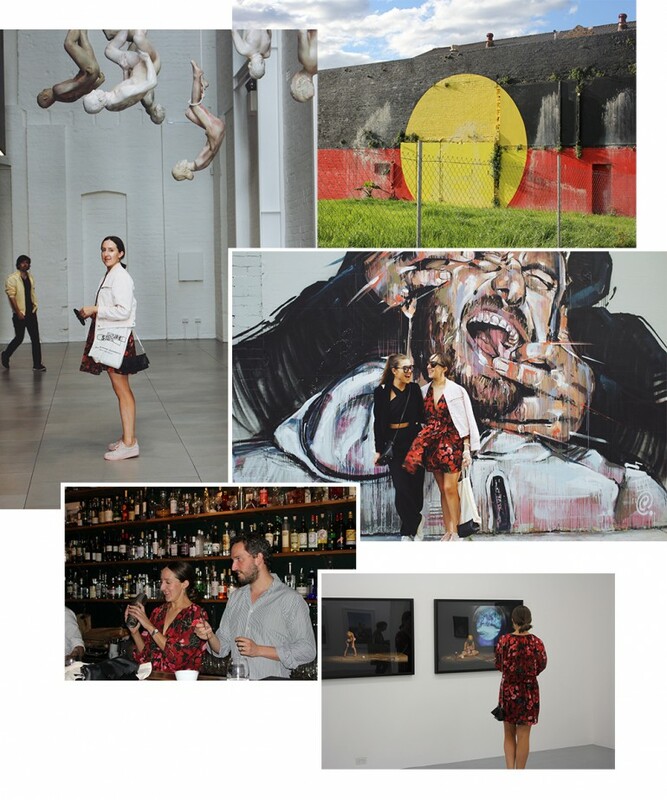 This is hands down the best way to uncover Sydney’s creative side, especially if you are into contemporary art galleries and great coffee. Culture Scouts took us through the back streets of Chippendale and Redfern where we got to admire the works of some of Sydney’s finest street artists including Scott Marsh. Our favourite stops were the White Rabbit Gallery, and a beautiful private gin tasting at Moyas Juniper Lounge in Redfern. 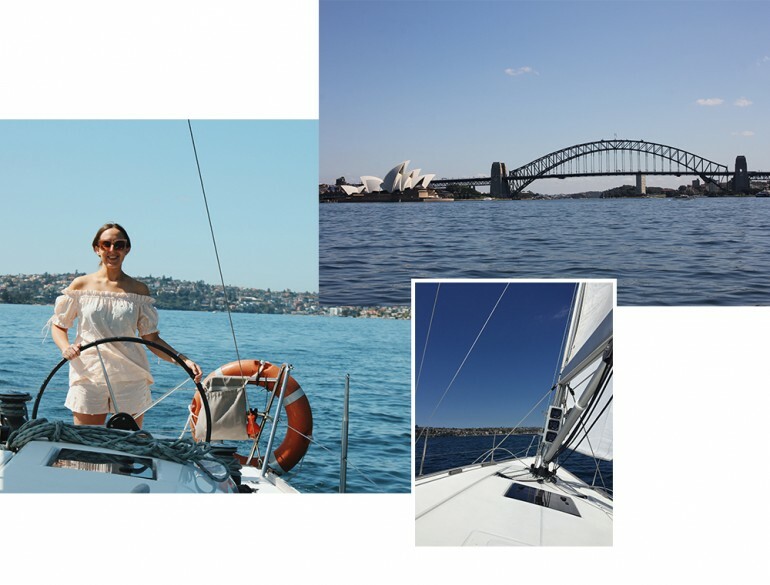 Setting sail on Sydney Harbour is the perfect way to spend a sunny day. We boarded our private 36-foot yacht expecting to see Sydney’s iconic sights, but were also entertained and educated the entire journey. Before we knew it, we were taking the wheel thanks to our patient and very experienced skipper, George, and we left planning our next jaunt on the harbour. No trip to Bondi is complete without heading to this institution. Greeted with great coffee and an unrivalled selection of breakfast bowls, Porch and Parlour offered the perfect start to the day. The infamously Instagrammed green breaky bowl is more than just a pretty picture. We promise you won’t be disappointed! Established by two Sydney gastronomic entrepreneurs, The Grounds of Alexandria were created to cater to foodies, families and locals looking for more than just good coffee. Once a warehouse, the garden-to-table ethos of The Grounds lends a lovely uniqueness to the area, and this haven in the middle of an industrial suburb is a visual delight from the moment you walk into its lush settings. Remember to grab a Nutella filled doughnut on your way out! 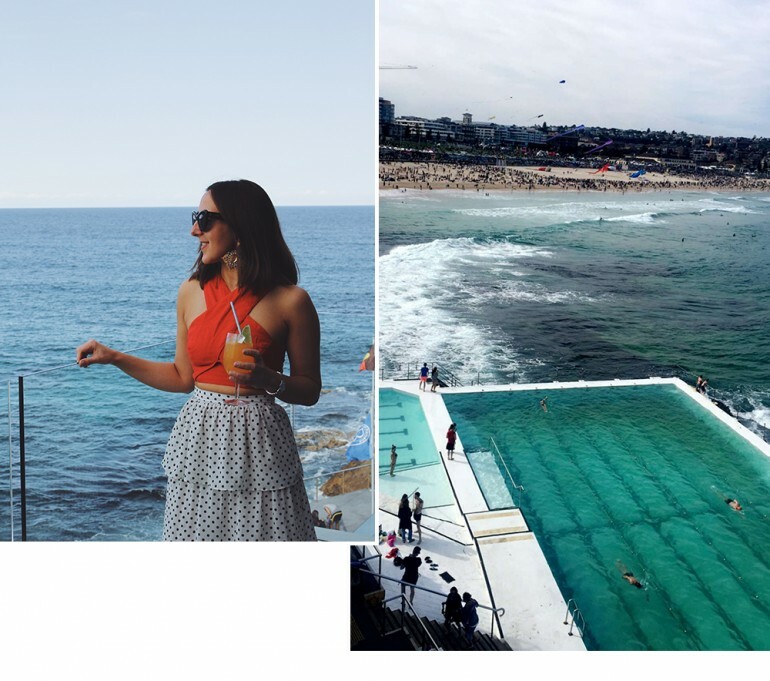 You cannot beat an afternoon spent at Icebergs, Bondi’s most iconic bar and restaurant. From the moment we arrived, the service was impeccable. With panoramic sea views and a killer Margarita, it’s far too easy to drink away the afternoon. When visiting Icebergs, be sure to try the Burrata and cured meat entrée - we’re still dreaming about it! The first dinner on our Sydney sojourn was Kensington Street Social. Originally one of Sydney’s largest breweries, the recent arrival to Chippendale has quickly become a local favourite. KSS has seamlessly integrated elements of the original interior with modern accents of brass, steel and oak. The highlight of our meal was a fragrant Earl Grey infused cocktail, and a pulled lamb and ricotta flatbread – delicious! Check out more of Kensington Streets hotspots here. After a hectic day pounding the pavements, there was no better way to enjoy Chippendale’s Asian cuisine than a stroll through the new Spice Alley. Inspired by Singaporean street food markets, Spice Alley is home to over a dozen of carefully curated Asian stalls. Sitting under strings of red lanterns and bustling with locals, the atmosphere is alive and buzzing. This BYO destination is a must do on anyone’s Sydney hit list. Henry Deane, the zenith of Hotel Palisade reveals the building’s sophisticated character. Spread across two floors, this upmarket cocktail lounge provides breathtaking Sydney scenes, every way you look. Watching the sunset on a Sunday evening was perfectly complimented by sesame crusted Kingfish tataki and harissa roasted cauliflower. Thanks to our wonderful friends at Qantas and Destination NSW for an unbeatable weekend in Sydney. We don’t imagine it will be hard to find another excuse to jump across the ditch again soon. You and a friend could be in to win Deanna’s amazing trip to Sydney with Qantas and Destination NSW. To be in the draw, simply enter here and you’re almost on the plane! Goodluck #RUBETTES. Entries close at 11.59PM on 27th September, 2016 and the winner will be announced on the 3rd October, 2016. You must be over 18 to win. Terms and conditions apply. Head to sydneysidersguide.qantas.com to find out more.